The boardwalk in Wildwood, NJ. A woman is in custody for a shooting that occurred at the Jersey Shore over the holiday weekend. 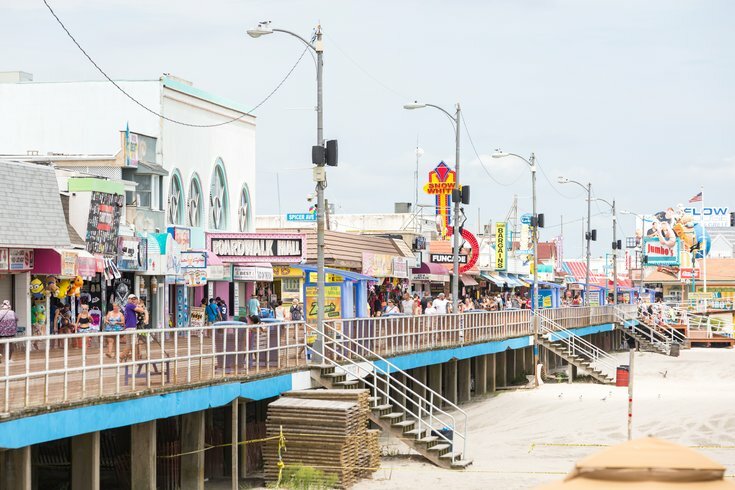 Wildwood police said the shooting took place Saturday around 8:50 p.m. on the 3800 block of Ocean Avenue, a block away from the Wildwood boardwalk. Police said the shooting happened in a commercial parking lot. Police did not say if there were any injuries. An officer who answered the phone Monday at the City of Wildwood Police Department said they didn't have any additional information. A 9mm shell was recovered at the scene. Authorities conducted a search warrant of a car near the scene and found a 9mm, semi-automatic handgun loaded with ammunition. Mikea Rivers, 24, of Philadelphia, was arrested and charged with aggravated assault, possession of a firearm for an unlawful purpose, and unlawful possession of a firearm. Rivers works as a data control technician, according to police. She was jailed at the Cape May County Correctional Center and is awaiting a detention hearing.